• Made with Dual Locking System (Our USP, we are pioneer to provide this feature all over the globe) that leads to Zero% chance of Air leakage from Inside to outside and outside to inside of the pallet. • Very quick and easy to install & uninstall. • Available with bottom base with Heavy Duty Tape Lock. • All the grades are water and moisture proof. • Sizes : We have blankets of 12 different pallet size available in ready stocks, however we customise the size as per client requirement. • All the grades are validated at worst case scenario to give it’s best performance at any kind of weather situations. • Our grades starts from 150 GSM to 270 GSM. Quality ISO 9001:2008 Certiﬁed. Being a Largest Cold Chain Packaging Products Manufacturer, Pearl Ice always seeks in providing excellence to it's customers at it's best. Was Established in 2014,and due to our number of innovations and solutions, received 1st award as " Cold Chain Rising Star Of the Year -2016". Due to our continuous efforts to provide excellence in terms of Quality of Products and Quality of Services, we had received another award of " Best Cold Chain Packaging Partner of The Year-2017". Gaining experience and Expertise to work with Pharmaceuticals, Pearl Ice has recently recieved it's 3rd award as " Best Pharmaceutical Cold Chain Packaging Solution Of the year-2018"
Pearl Ice , after recieving great compliments from Indian Market, now has became a good exporter and gaining trust in the foreign markets like Australia, New Zealand, United States Of America, Canada Europe, Singapore,Malasia and UAE. Pearl Ice is an ISO 9001:2008 certified company and involved in the manufacturing of Products like Thermal Covers & Blankets brand name is MettCover. Pearl Ice, is the Research based organization involved in the invention of new and simpler ways of reducing the cold chain breaks with their products. Pearl Ice is based at Ahmedabad, Gujarat,India and having state of the art factory at Himatnagar, in North Gujarat, India. Thermal Pallet Covers and Blankets in Australia, Pearl Ice has became large player to get more trust from Buyers. 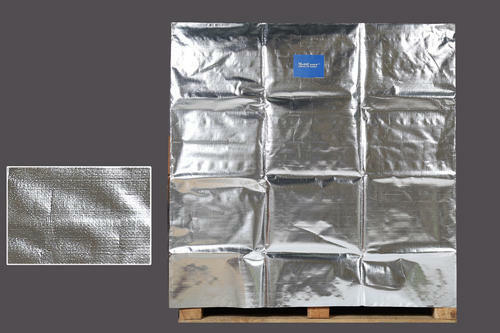 Thermal Pallet Covers and Blankets in Europe, Pearl Ice has became large player to get more trust from Buyers. Thermal Pallet Covers and Blankets in USA, Pearl Ice has became large player to get more trust from Buyers. Reusable Pallet Wraps in Australia, Pearl Ice has became large player to get more trust from Buyers. Pearl Ice, is supported by a well established infrastructural unit that assists us in manufacturing of high quality range of products. Our quality control team is involved in the meeting the standards as we believe in 0% Defect Policy. We seriously take the responsibility of 0% defect of each single piece of our products, supplied to our clients. Under the headship of Mr. Vinayak Thakar (Director), we have gained a noteworthy position in the national market. By Qualification he is B-Pharmacy, MBA (Marketing) and having vast experience in the field of Cold Chain Packaging, has done almost 200+ trials for the evaluation of the Cold Chain Packaging and has done number of live projects to get the best of the best results for the industry. Pearl Ice has Internation Headquater in Sydney, Australia where all Internation trade takes place. Premium and Consistent Quality Products and Services.